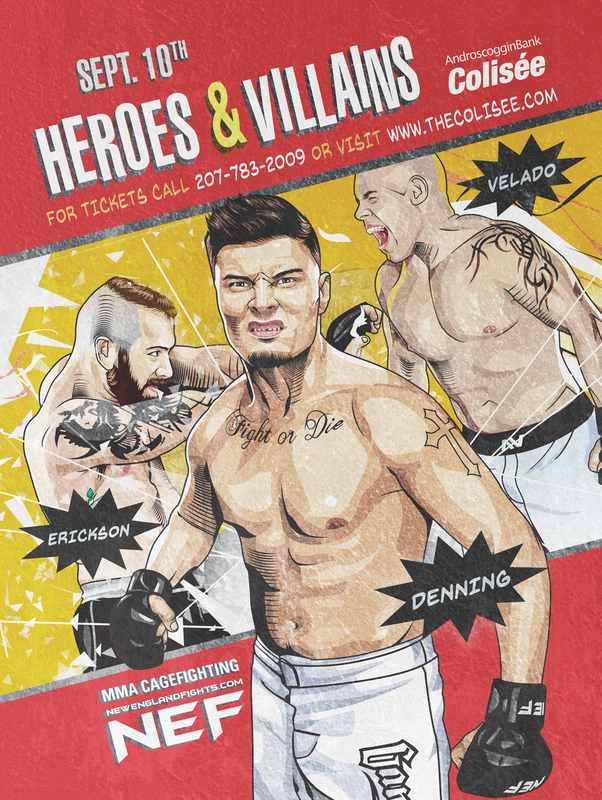 FOR IMMEDIATE RELEASE: Lewiston, Maine (September 7, 2016) – New England Fights (NEF) will hold its next event, “NEF 25: HEROES & VILLAINS” this Saturday, September 10, 2016 at the Androscoggin Bank Colisée in Lewiston, Maine. The event will feature both mixed-martial-arts (MMA) and professional boxing bouts with an MMA cage and a boxing ring set up side-by-side. Earlier today, the promotion announced that it would hold the event weigh-in this Friday, September 9, 2016, at 2:00 pm EDT at the Lewiston Ramada. The Ramada is located at 490 Pleasant Street, Lewiston, Maine 04240. Weigh-ins are open to the public and free to attend. All of the fighters competing on Saturday night will be at the weigh-in. Fans and press are encouraged to attend. The opening bell this Saturday, September 10 is set for 7 p.m. Tickets start at $25 and are available at www.TheColisee.com or by calling the Colisee box office at 207.783.2009, extension 525. Tickets will also be available at the door the night of the event.